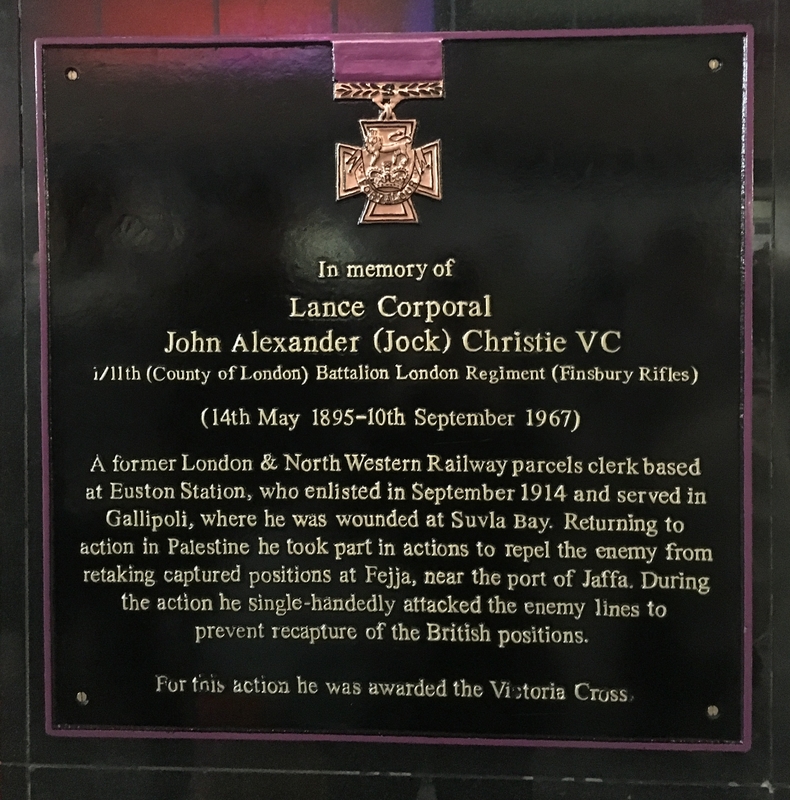 This project explored the history of the Finsbury Rifles, with a particular focus on the story of one man – Lance Corporal John (Jock) Christie – who joined the regiment and travelled to the Middle East. Jock was awarded the VC for his actions at Fejja, Palestine on 22 December 1917. His citation reads that he fought off a Turkish counter-attack using bombs in spite of being heavily outnumbered and exposed to enemy fire. Christie was a parcels clerk at Euston Station, living just off Holloway Road, who joined the regiment in September 1914. He is one of only seven railway men known to have won the VC. Using sources including the Finsbury Rifles War Diary, archival photos, local newspaper reports, local war memorials and the memorial to Lance Corporal John (Jock) Christie, the project examined the Finsbury Rifles campaign in Egypt, Palestine and Syria in 1916-18. Participants looked at the campaign, how it differs from the Western Front, the experiences of local soldiers and the links to local communities today. Volunteers worked with archivists to research the campaign and its local links, collating archival documents and photos. The process included transcribing and digitising the Finsbury Rifles War Diary 1916-18, selecting stories and images to write up for the ‘Away from the Western Front’ website. Volunteers and staff then worked with animation specialist company Chocolate Films to revisit the collated information, creating a programme of animation workshops with young people. Three films were produced – one telling Jock Christie’s story, a second called ‘Crossing the Desert‘, about the experiences of other soldiers in the regiment, and the third called ‘How to Manage your Camels‘. For more information about the Finsbury Rifles go to the Friends of Islington Museum blog here.